Have you ever wanted to be a part of something truly amazing? Princesses are going to give a concert, so they want it to be perfect. 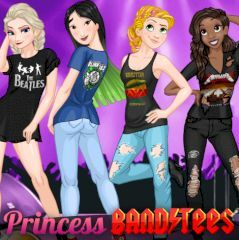 Dress up four princesses in cool outfits and make sure that they all look unique. Enjoy switching outfits and clothes and take a picture when you are done!